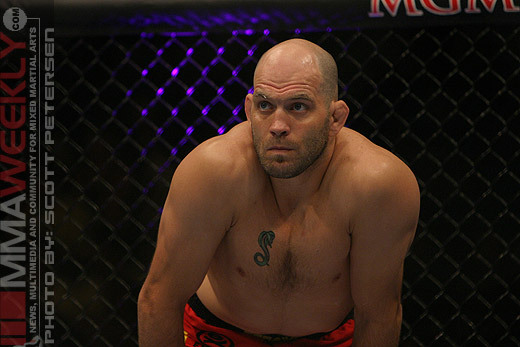 Veteran middleweight Matt Lindland has signed a three-fight deal with Strikeforce, ending a short free agency period. Lindland informed MMAWeekly.com of the news Thursday afternoon. Left out of Affliction’s doomed third event, “Trilogy,” Lindland’s contract was one of the few not transferred to the UFC following the end of the clothing company’s fight promotion business. Lindland was cut from the UFC in late 2005 when he wore a sponsor t-shirt not approved by the promotion. Once one of the Las Vegas promotion’s top contenders, he has remained on rocky terms with president Dana White since his exit. Lindland said he expects to fight on Strikeforce’s next major card in October and named Jake Shields, Robbie Lawler, and Cung Le as possible opponents. Lindland and Shields were close to inking a fight at this Saturday’s “Carano vs. Cyborg,” but concerns over the placement of the bout on the title heavy card scratched the deal.